An anonymous tipster has submitted a photo of a possible preproduction iPhone 7 dummy unit that could easily be fake, but offers a good visual representation of rumors surrounding the next-generation smartphone. 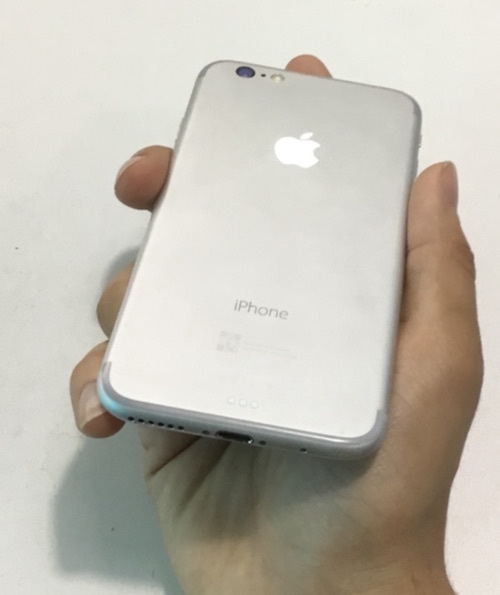 The unverified photo shows what appears to be a silver iPhone 7 with a similar form factor as the iPhone 6s, beyond at least three notable differences. The first is the absence of rear antenna bands, giving the rear shell a cleaner all-metal look. Earlier this year, a previously reliable source informed us that Apple would indeed remove the antenna bands across the rear of the iPhone 7. 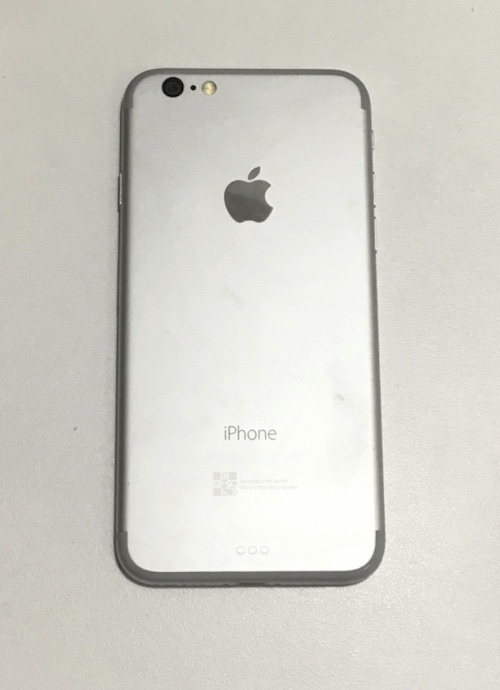 The antenna bands would instead be repositioned along the top and bottom edges of the iPhone, as shown in a number of mockups such as our own below. The bands slightly extend to the side edges of the iPhone akin to the current design. The second is the inclusion of a Smart Connector, first introduced on the iPad Pro, that could allow for both data and power transfer between the iPhone 7 and accessories. Speculation about the port's exact role on the iPhone 7 has ranged from battery case connectivity to wireless charging. Multiple reports have claimed the next iPhone will feature a Smart Connector, supported by a purported image of the iPhone 7 Plus featuring the port, but the latest word from oft-reliable Japanese website Mac Otakara suggests Apple may have ditched those plans until at least next year or perhaps indefinitely. A third difference is what appears to be a flush camera lens, without the infamous protruding ring found on the iPhone 6 and iPhone 6s series. Early rumors pointed towards a flush design, but more recent rumors suggest the camera could remain slightly convex. The photo does not depict a dual-lens camera system, which could be exclusive to the iPhone 7 Plus. The microphone and LED flash remain unchanged. A possible fourth but less distinguishable change may be the absence of a 3.5mm headphone jack, which multiple sources claimed would be removed on the iPhone 7. This rumor also carries some uncertainty with it after images of a possible Lightning cable assembly with a headphone jack, considered to be appropriate for the next iPhone, surfaced last week. However, despite rumors claiming the iPhone 7 could also have stereo speakers, there still appears to be only one grille to the left of a Lightning port and microphone on the bottom. If ever realized, dual speakers could possibly be exclusive to the larger iPhone 7 Plus/Pro or delayed until the 2017 iPhone with an OLED display and glass casing. Earlier today, a claimed design drawing of the iPhone 7 pointed towards the next-generation smartphone having the same length and width as the iPhone 6s. 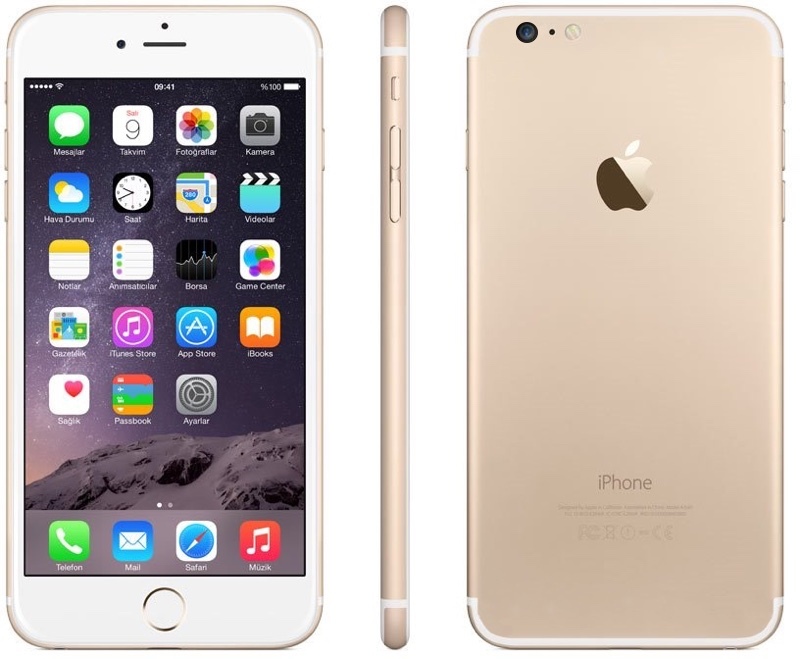 The device's overall form factor is expected to resemble the iPhone 6 from 2014, resulting in three consecutive generations of the same design beyond minor tweaks. Other rumored features for the iPhone 7 series include a faster TSMC-built A10 chip, touch-sensitive home button, waterproofing and dustproofing, faster Intel LTE modems, and a slightly larger battery. At this point, however, it is still not entirely clear which features are designated for the iPhone 7 and iPhone 7 Plus, expected to be announced in September, or the OLED-based iPhone due in 2017. Can't believe they spent time worrying about the antenna bands. We are only going to cover it with a case. Maybe if they could make the corners impact resistant, make the phone so it wasn't like holding a wet bar of soap we could them leave the case off and care more about how the phone looks. looks actually worse and boring without those bands lol i dont like how they just "end". It's like they aren't even trying anymore. All about that $$$. Might look better if the dummy actually showed the bigger camera module + correct position. But damn Space Grey looks so horrible, give us Ink Black, Apple! My first thought was to laugh, but then I remembered doing that for the iPhone 6 when the first mockups of those antenna bands came out. Lesson learned. This is the next iPhone. So it IS an iPhone 6ss. That's not gonna help your sales there Apple. We're all going to run out like chickens to buy it anyway.